If you have been reading the news over the last few days, you might have seen some articles on the records released by the UK National Archives this week. As I predicted in a previous post, the majority of the files discussed in the press have related to the Falklands War, which was a decisive moment in Thatcher’s reign. The Guardian has provided some of the best coverage of the archival papers released and there has been some very interesting discoveries. Our people are now confident enough to face the facts of life. There is a new mood of realism in Britain. That too is part of the Falklands Factor. The battle of the South Atlantic was not won by ignoring the dangers or denying the risks. What has indeed happened it that now once again Britain is not prepared to be pushed around. We have ceased to be a nation in retreat. We have instead a new-found confidence—born in the economic battles at home and tested and found true 8,000 miles away. But this article in The Guardian shows that Thatcher was willing to deal with Argentina over the Falklands and was not geared up towards war at first. Another article that featured in The Guardian actually showed that Britain was not really prepared for war in April 1982 and that the Conservative Government seemed to be unresponsive to intelligence reports from MI6 on the issue. The authors of the newspaper article contrast this with the pressure that the Blair Government put on the intelligence agencies in the lead up to the invasion of Iraq in 2003. One of the most interesting aspects of the reportage of the archival papers was this article on the effects of the War on the UK’s foreign policy and the Commonwealth, with Thatcher worrying that Spain might seize Gibraltar in a similar way to the Argentinian grab for the Falklands. Although by this time, Spain had rid itself of its Francoist dictatorship and was a liberal democracy, unlike Argentina, which, at the time of the Falklands War, was ruled by a military junta. Looking through the catalogue, I haven’t found much relating to my archival wishlist that I posted last week. I did find one Prime Minister’s Office file (PREM 19/797) on immigration policy that was released last week, but nothing that I can find on the reversal of Henry Yellowlees’ decision on x-raying migrants or on the impact of the British Nationality Act. On all the other topics, I have been able to find nothing that was released this week, but while looking up whether anything had been released on John Tyndall’s BNP, I did find two records relating to Tyndall and other long-term British fascists, such as Martin Webster, being tried for racial and public order offences (MEPO 2/10633 and CRIM 1/3973) in the 1960s. I hope to have a look at these files when I’m in the UK in February. What does everyone else think of the newly released files? Is anyone doing stuff on the ‘Falklands factor’ out there? This way of handling the prohibition question is working successfully in the Soviet Union. Shortly after the October revolution the Soviet government prohibited the sale or manufacture of alcoholic drinks. But soon bootlegging began, with familiar demoralizing consequences: poisonous liquor was made, much badly-needed grain was wasted, open violation of the law existed on all sides. Then, with characteristic vigor and clarity of purpose, the government legalized the making and selling of intoxicating beverages. At the same time, a big campaign was initiated by the government, the Party, the trade unions, etc., to educate the workers against alcoholism. This program is succeeding; the evils of alcoholism are definitely on the decline. Doubtless, the Russians have found the real solution of the liquor question. Just as Socialism is abolishing so many other evils, it is also rapidly wiping out alcoholism and the mass of misery and degradation that accompanies it. This is an interesting passage, particularly the comparison of Prohibition in the United States with the Soviet Union’s campaigns to eliminate alcoholism. As usual, the USSR was exemplified as the way forward on many social issues, although in reality, these social problems still existed, and perhaps were even worse, in the Soviet sphere. My knowledge of the CPUSA is quite limited at this stage, as well as the anti-alcohol campaigns of the Soviet Union, so if anyone can recommend further reading on the topic, please let me know. I couldn’t find anything on Prohibition in Militant, the paper of the Trotskyist Socialist Workers Party (not the British SWP), but pdfs of the paper from this period are also available on the Marxists Internet Archive. Another future research topic maybe? 1) The decision of Chief Medical Officer, Sir Henry Yellowlees, to reverse his opinion, made in 1980, that x-raying migrant children for age assessment purposes was a satisfactory and accurate practice. In January 1982, Yellowlees sent a letter to Home Secretary Willie Whitelaw that argued that this practice should be stopped. I’m thinking there will be Home Office and Foreign and Commonwealth Office files opened that will uncover the ramifications of this reversal of policy. 2) The fallout from the Scarman Report into the Brixton Riots. In November 1981, Scarman released his report outlining his findings into why the riots of April and July 1981 occurred, which criticised the police actions and the fraught relationship between the criminal justice system and the black communities. The report also made several recommendations on trying to mend this relationship through more community-based policing. I think there’ll be a few Home Office files from 1982 that relate to these recommendations. 3) The machinations behind the implementation of the British Nationality Act 1981. This Act, which came into effect in January 1983, made several changes to Commonwealth migrants who could apply for UK citizenship and further restricted non-EEC migration. This caused particular furore in several Commonwealth countries, especially in South Asia, where large numbers of migrants were hoping to join their families who were already based in the UK. I thnk there’ll be several FCO files dealing with the potential impact of the Act on UK’s foreign relations from 1982 released. 4) There may be some Home Office files (although this is more of a long shot) on the British National Party, who were formed by ex-NF leader John TYndall in 1982, and on the break-up of the National Front after the 1979 elections. It is interesting that the National Archives have not released more records relating to the NF from the 1970s, but I’m hoping that there might be some stuff relased in the next batch. 5) There will definitely be stuff released on the Falklands War, which occurred in 1982, but I would be interested to see if there will be anything released on the anti-war demonstrations and activism that occurred in response to the war. I would be very interested in seeing what groups were involved in protesting against the war, particularly the anarchist groups, who were on the rise in the 1980s. So there you have it. My christmas archival top 5 wishlist. For any other contemporary historians, what are you hoping will be released? I should also mention that the National Archives of Australia will be releasing the Cabinet Records of the 1984-85 Hawke Governments around the same time. Due to changes in the legislation, Federal Government records are moving towards being released after 20 years over the next decade. Is there anything in particular that you are hoping to find amongst these records as well? Seasons greetings readers! I thought I would recommend three academic-based tumblr sites to give you some laughs over the holidays. 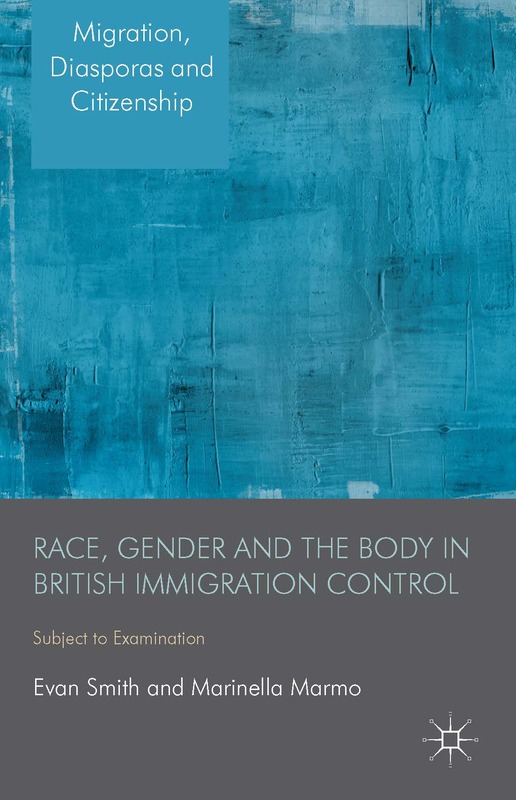 In 1985, the Commission for Racial Equality published a long awaited report into discrimination within the UK immigration control system. (My colleague, Marinella Marmo, and I have written about the report and its investigation here and here) I have been re-reading it and the government’s response for a paper I am currently writing on the x-raying of migrant children for age assessment purposes, which, after being disregarded as an option by the Home Secretary Willie Whitelaw and the Chief Medical Officer, Sir Henry Yellowlees in 1982, was resurrected as an idea by the UKBA in early 2012 (info via the Immigration Law Practitioner’s Association here). The idea was suspended after a month by the UKBA, but there is still the threat of the plan being further revived in the future. But on a different matter, I came across this interesting tidbit. The general conclusion of the CRE report was ‘that too great an emphasis has been placed on the operation of the procedures on the detection of bogus applicants, at an unacceptable cost to genuine families and to race relations generally’ (p. 128). The CRE proposed a ‘change of emphasis and attitude underlying the administration of the [immigration control] policy (p. 129). The government response drafted by the Home Office (from a copy held at the Runnymede Trust archives at the Black Cultural Archives in London – RC/RF/1/01/B) disputed this, declaring: ‘Without that firm control the Government would be playing into the hands of those who simply do not want good community relations and are out to make trouble. That would not be in the best interests either of the country as a whole or of the ethnic minority communities.’ The document suggests that this was a ‘sophisticated’ version of the ‘”good for race relations” argument’ and thought it could be used to portray the government as the strict, but fair, middle ground, with the document saying ‘we are protecting you against the NF/SWP’. That was 1985. Unfortunately both Labour and the Tories still indulge in the same rhetoric. It was disappointing to see while Ed Miliband pursues an anti-cuts agenda in one area to try and claw back some of the 5 million disenchanted former Labour voters, he still seeks to try and win the Conservative (and wider anti-immigration) vote with his ‘immigrants should speak English’ speech the other week. I would argue that anti-immigration rhetoric from Labour and the idea of maintaining ‘firm control’ will not help them and will only encourage the right. As Paul Foot wrote in his 1969 book, The Rise of Enoch Powell: ‘One of the most constant rules in the history of immigration control is that those demanding controls are encouraged, not silenced, by concessions’. In 1998, the Journal for Contemporary History published two articles on Oswald Mosley and his fascist parties, the inter-war British Union of Fascists and the post-war Union Movement. One of these articles was by Richard C. Thurlow (1998: 253), who argued that ‘despite Mosley’s personally catastrophic political failure, and the often unpleasant implications of his fascist and post-fascist political agenda’, Mosley remained a ‘utopian visionary’ and ‘revolutionary’. However, David Renton wrote several critiques of this interpretation of Mosley and of British fascism in general, disagreeing with Thurlow’s notion that fascism should be primarily seen as an ideology. Renton asserted that fascism should be analysed by how its ideas relate to its behaviour as a political movement. British fascism was an extra-parliamentary movement, possessing a certain ideology, with Renton stating: ‘The ideology was reactionary, the practice violent and racist’ (Renton, 2000a: 74). Much has been written on the various Marxist theories of fascism and there have been a number of Marxist or Marxist influenced analyses of fascism. There have been several differing Marxist analyses since 1945, but most of these works analyse the fascist regimes in a time-specific manner and have little immediate relevance to a theory of fascism for the present. As Ernesto Laclau (1979: 82) wrote in his analysis of Nicos Poulantzas’ Fascism and Dictatorship, ‘we only have to remember the high degree to which we still depend for the theoretical understanding of fascism on a few great books written before 1945’. This does not mean that Marxist have not attempted to adapt their theories of fascism to the post-war period. As Neocleous (1997: xi) states, ‘Seeing fascism as a historical phenomenon that ended in 1945 or thereabouts… encourages a dangerous forgetting’. For Marxists, fascism is inherently linked to capitalism, as asserted by both Renton (1999: 16) (‘fascism is a recurrent feature of modern capitalism’) and Neocleous (1997: xi) (‘Fascism is first and foremost an ideology generated by modern industrial capitalism’). In the 1960s, John Cammett (1967: 162) argued that while fascism is the ‘fullest expression’ of capitalism, it is ‘not identical at every stage… with monopoly capitalism’. Therefore for the Marxists, to eliminate the conditions for a revival of fascism, capitalism needs to be abolished. As Renton (1999: 116) concludes Fascism: Theory and Practice: ‘the only decisive way to stop fascism is by fighting for a society where the potential of all humanity is fully realised and all forms of oppression are swept away’. 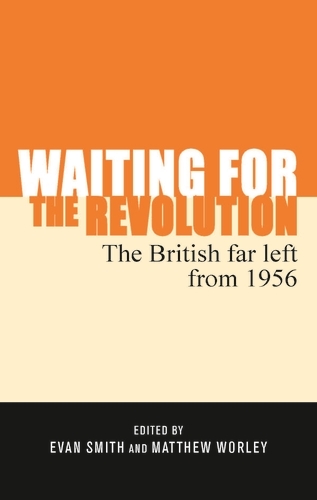 While, as Cammett (1967: 162) interjects, the ‘prime enemy’ for Marxists remains ‘reactionary, imperialist, monopoly capitalism’, immediate action must be taken against fascism at any stage and anti-fascism remains a necessary and important sphere of activism in the present. Leon Trotsky’s theoretical writings on fascism, most importantly during the year 1930 to 1935, are the basis for probably the most widespread and influential Marxist interpretation of fascism and despite other profound changes in Trotskyist theory since the 1940s, Trotsky’s theory of fascism has remained primarily intact. In Britain especially, the Trotskyist groups, such as the Socialist Workers Party and Red Action, have been at the forefront of the anti-fascist movement since the 1970s and Trotsky’s analysis of fascism and anti-fascist actions are central to this activism. For Trotskyists, his writings on National Socialism are the most accurate and coherent Marxist analysis of fascism, not just a theory, but as a ‘living political phenomenon’, ‘a conscious and wily foe’ (cited in, Wistrich 1976: 158). In the words of Isaac Deutscher (1963: 132), Trotsky’s writings remain ‘the only coherent and realistic analysis of National Socialism (or of fascism at large) that can be found in Marxist literature’. In Fascism: Theory and Practice, Renton (1999: 72) states that ‘the most striking feature of Trotsky’s theory of fascism was his insistence of the dialectical nature of fascism’. This dialectical nature arose from the antagonism between the mass base of its support and the reactionary nature of its goals. For Trotsky (1971: 127), the mass support for fascism came from the ‘petty bourgeoisie and the new middle class; the small artisans and shopkeepers of the cities, the petty officials, the employees, the technical personnel, the intelligentsia, the impoverished peasantry’. As Daniel Guérin (cited in, Renton, 1999: 103-104) , a French revolutionary socialist influenced by Trotsky, explained, this not because the petty bourgeoisie ‘desire the elimination of the big bourgeoisie as a class’, but rather ‘they would like to become big bourgeois themselves’. However, the petty bourgeoisie is ‘incapable of independent policies’ and although fascism ‘raised itself to power on the backs of the petty bourgeoisie’, Trotsky (1971: 405) insisted that once in power, fascism is ‘the most ruthless dictatorship of monopoly capital’. Wistrich (1976: 162) argued (and commended Trotsky for predicting) that this was why the Fascists in Italy and the National Socialists in Germany discarded the ‘socialistic’ slogans and ‘petty-bourgeois illusions’ of their supporters once the fascists assumed power. Mandel (1971: 29) has claimed that Trotsky’s theory of fascism is viewed to be superior because of ‘its ability to integrate a multitude of partial aspects into a dialectical unity’. This dialectical theory comprehends that fascism contains a vicious and anti-proletarian ideology, while attracting a mass base of support. Or as defined by Renton (1999: 101) before, ‘fascism is a specific form of reactionary mass movement’. Renton has quoted Sparks’ 1974 article ‘Fascism in Britain’ to further this point: ‘Many of the ideas of fascism are the commonplaces of all reactionaries, but they are used in a different way. Fascism differs from the traditional right-wing… in that it is an extra-parliamentary mass movement’ (cited in, Renton 2000b: 50). One of the fundamental principles of the Marxist interpretation of fascism is that fascism is not an ideology buried in the historical past, but a living phenomenon that has re-emerged in times of economic and political turmoil. Most countries in Europe, as well as other former settler colonies around the world, such as the United States, Canada, Australia, New Zealand and South Africa, have experienced the revival of fascist groups at different periods. In the immediate post-war period, these groups were often remnants of the inter-war fascist parties, but the groups of ‘classical fascism’ were replaced with new groups who took inspiration from the groups of the 1930s and 1940s, but with new (and younger) personnel (but often including figureheads from the inter-war period). In his article on post-war British fascism, Richard C. Thurlow (1998: 241) mentions an argument by John Hope that the Union Movement acted as a ‘transmission belt between pre- and postwar British fascism’, but it is probably more accurate to view the Union Movement as the end of ‘classical fascism’ in Britain, with a more likely ‘transmission belt’ for the post-war fascist movement being the League of Empire Loyalists (LEL), formed in 1954 by former BUF director of propaganda A.K. Chesterton and an organisation through which nearly all the important figures of post-war fascism passed. Although Chesterton was from the BUF, the LEL and its splinter groups were more influenced by the inter-war Imperial Fascist League’s Arnold Leese than Mosley, emphasising anti-Semitism and racism against Britain’s black immigrants. What characterised British fascism between 1951 and the formation of the National Front in 1967 was a series of splits into tiny organisations featuring the same individuals, the result of attempting to adjust fascism to post-war Britain and a succession of personal clashes. From 1957 onwards, the same names – Colin Jordan, John Tyndall, Martin Webster, John Bean, Andrew Fountaine – were involved in various groups, which despite numerous splits and different organisational titles, were only superficially distinguishable from each other, primarily the White Defence League, National Labour Party, British National Party, National Socialist Movement and the Greater Britain Movement. Despite involvement in and brief notoriety from the anti-immigrants agitation of the Notting Hill riots, these fascists achieved little during this period. 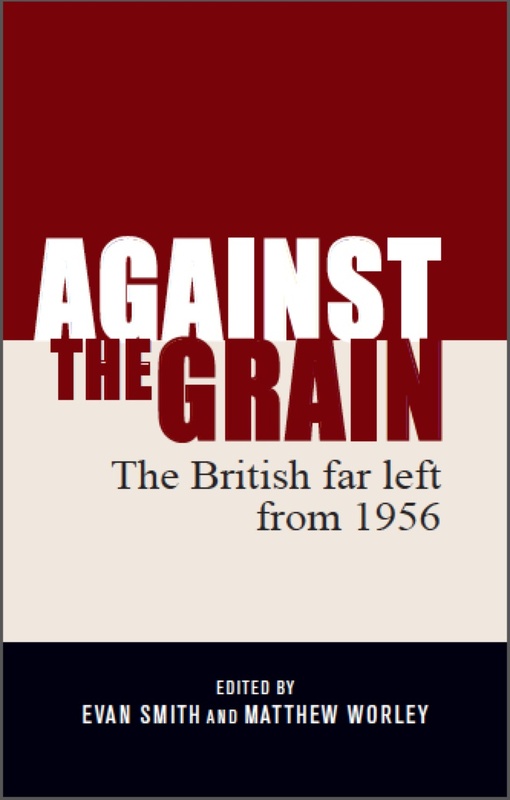 Nigel Copsey (2000: 102) remarked that, ‘For the most part, the 1950s in Britain were quiescent years for both fascists and anti-fascists’, despite the groups’ attemtps to appeal to populist anti-immigrant racism. In this era, the fascists were no longer what Trotsky (1971: 389) had called during the inter-war period ‘the shock troops of world imperialism’, but a response to the dismantlement of world imperialism and the decolonisation process. 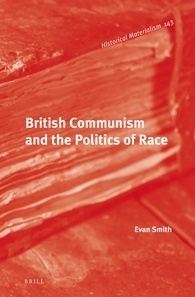 In the Cold War polarisation between Washington and Moscow, Britain had lost its significance as a world power and for the fascist organisations of the mid-1950s onwards, black immigrants became the new scapegoat for the fascists’ perceived threat to the ‘remnants of the British Empire and way of life’ (Thurlow, 1987: 239). A question that is often presented by those examining fascism and the far right in the post-war era is how to describe these groups, with a number of scholars and activists asking whether these post-war groups can be called ‘fascist’ (or ‘Nazi’ or ‘neo-fascist/Nazi’, etc) Often the term ‘neo-fascism’ is used to differentiate between the interwar and post-war fascist movements, but a clear definition of ‘neo-fascism’ has not been made. In his history of fascism, Roger Eatwell (2003) has simply presented that all fascist movements after 1945 are indeed ‘neo-fascist’, while Lucian Cheles, Ronnie Ferguson and Michalina Vaughn (1991) produced a book Neo-Fascism in Europe, despite not giving a clear definition of the difference between ‘fascism’ and ‘neo-fascism’ anywhere in the book. In The Nature of Fascism, Roger Griffin (1991) attempted to differentiate between ‘nostalgic fascism’, ‘neo-fascism’ and ‘neo-Nazism’, but in his edited collection of fascist texts, Griffin simply describes all fascisms after 1945 as ‘post-war fascism’ (Griffin, 1995: 311-316), then at the micro-stage differentiating between ‘veteran fascists’ and other forms of ‘post-war fascism’, including ‘universal Nazism’, ‘Eurofascism’, ‘third positionism’, and ‘the new right’, amongst many other terms. Martin Kitchen (1976: 91) attempted to define ‘neo-fascism’ as those movements that ‘take the essential factors of the fascism of the past’ and ‘see under what socio-economic crisis situations in contemporary advanced capitalism’ fascist ideas are most likely to thrive. Peter Davies and Derek Lynch (2002: 320) have described ‘neo-fascism’ as fascist groups that have links (although what ‘links’ entails is not elaborated upon) to ‘classical fascism’ but ‘set their sights on the democratic road to power’. I think the term ‘neo-fascist’ or ‘neo-Nazi’ are terms which emphasise an epistemological break between the fascist groups of the 1930-40s and those that have existed in the post-war era, and now in the 21st century. It might be useful to use the term ‘neo-fascist’ to describe the Italian Social Movement or Northern League in Italy, or the term ‘neo-Nazi’ to describe the various groups in Germany and Austria since the Second World War, but overall I think the term ‘fascist’ still works to describe most of these groups. In my own writing, I use the term ‘fascist far right’ to encompass the various post-war fascist groupings in Britain, but also see the worthiness of using the terms ‘the radical right’ or ‘right-wing extremism’, particularly to describe groups which may not fit squarely within the popular usage of the term ‘fascist’ and have other right-wing historical origins. I see there is a new journal published by Brill called Fascism: The Journal of Comparative Fascist Studies, so there is still plenty of debate going on what ‘fascism’ means. What is the point of defining fascism? It may be academic to many, but practically, it can be an important issue. Anti-fascist activism has often revolved around the notion of ‘no platform’ for fascists, which has been about denying public space for anti-democratic, racist and violent political viewpoints (better described as ‘fascist’). To argue for a policy of ‘no platform’ for fascists, one needs to agree on what ‘fascism’ means. In a practical sense, where does one draw the line? ‘No platform’ is often directed towards groups such as the British National Party and the English Defence League, but what about UKIP (or in the past, the Monday Club?) These are important questions to raise, but that’s for another post. The Manchester post-punk zine City Fun is now available online via the Manchester District Music Archive. The zine first appeared in the late 1970s and was produced through the early 1980s, charting the rise of the Manchester music scene during this period, with articles on The Fall, the Buzzcocks, The Smiths and the whole Joy Division/New Order/Factory label milieu. The (fully searchable) online archive can be found here. EDIT: After a comment posted by Dave Haslam, I have changed this post to acknowledge that he was not the creator of, or writer for, City Fun. My apologies for this sincere error.